Well done guys for achieving the next rank at EKA! All of you should feel proud and accomplished whatever belt you attained. We would love to hear your stories of how far you have come and what it took to get you where you are now. Go to our EKA group page to let us know all bout your journey. Starting on the 3rd of December the EKA will be introducing more sessions for children aged 6-12. With these new classes we are hoping to give the children more focus in areas they will excel in. Allowing them to gain more from their classes, learn from the new EKA syllabus and really earn those belts! Below are the times and what each class is focused towards. Eight of our EKA members all took part in the North East Championships held by Revolution on Sunday 25th November. With family and friends rallying around them and supporting each other they came back with one bronze, two silvers and a gold trophy, well done team! Nikita, Elliot, Will, Jude, Sanaa, Aidan, Tobiasz and Natasha along with the fellow EKA supporters proved to be a formidable force on the tournament scene. Natasha brought back the gold for women’s point fighting, Sanaa won silver for women’s light continuous, Will earned silver in under 16s light continuous and Aidan achieved bronze for men’s light continuous. All fighters did exceptionally well, and we are very proud of them. As of now there is nothing in the pipeline for any more tournaments, but David, Sanaa and Aidan will be meeting to organise the next one for 2019. Let’s see how many fighters our team has then and really show other clubs what we are made of! Through rain or shine the EKA is always open for its classes. World cup and England in the semi-finals… club still open, finals of X-Factor or any other popular reality T.V. show… club still open, James’ birthday… club still open, the second coming of Jesus Christ… club still open! However, when Santa is on his way and families are getting together to enjoy this time of year the EKA will be shut for a period. This year the last class of 2018 will be Saturday 22nd and will open back up in 2019 on Saturday 5th January. It has been nearly 3 months since the new Fight Clubs have started up and they have been getting bigger and better. We have loads of footage of sparring matches on our Facebook group for members to enjoy and use to help improve themselves as fighters. Fight Club is free to full members of the EKA and we hope to have fortnightly sessions after the Saturday classes in 2019. 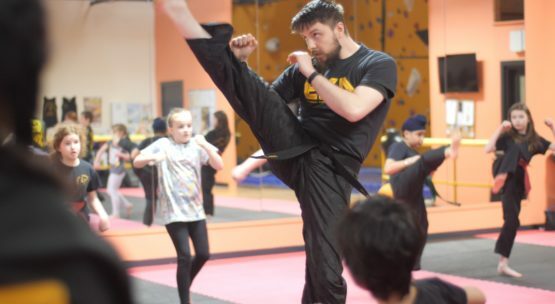 We couldn’t have got this far without the help of black belts Sanaa and Aidan giving up their free time to help members sparring abilities flourish. Thanks both of you. First… what a name! Secondly, very impressive display at Sanaa’s most recent white-collar boxing match. Sanaa has put a ton of effort in to her training to get this far and boy does it show. We are very proud of her and what she has accomplished and were just glad she is on our team! Our new instructor Sam has a blog up about himself and joinging the EKA!